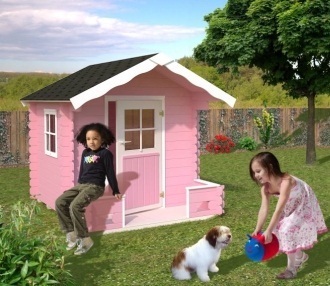 Our range of easy assembly playhouses feature ready made wall elements to aid construction and many come with assembly kits. 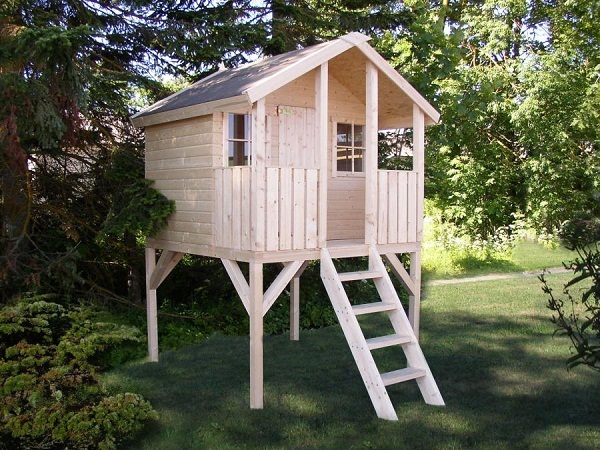 This wonderful playhouse is constructed using tongue and groove roof and floor boards which are manufactured from nordic spruce wood. 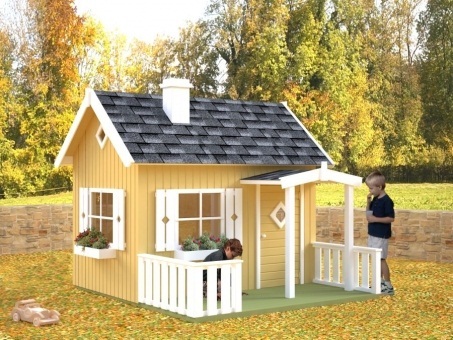 The windows on this playhouse feature plexiglass with decorative shutters and window boxes and there is also a single door complete with outside porch area. 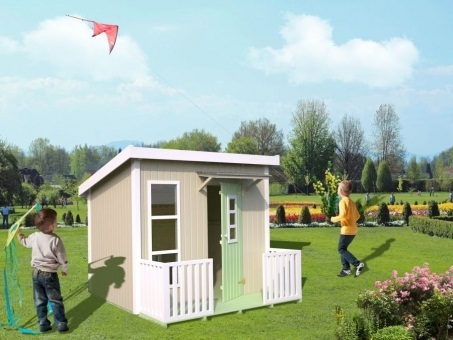 The windows on the Sam feature plexiglass and there is also a single door which opens out on a terrace area.. The terrace area has decorative fencing. 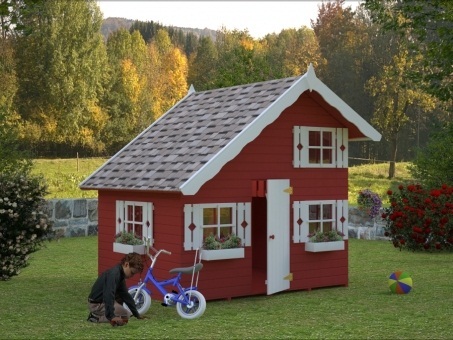 This delightful playhouse is constructed using tongue and groove roof and floor boards which are manufactured from Nordic spruce wood. 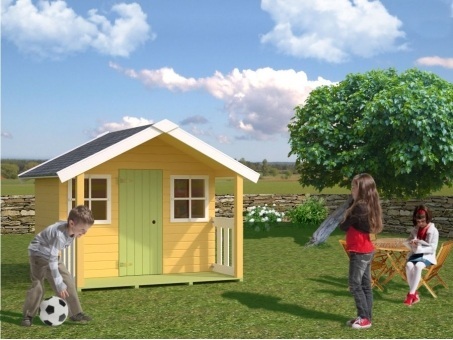 This playhouse comes with ready made wall elements (16mm thick) which aid construction and also features an assembly kit.